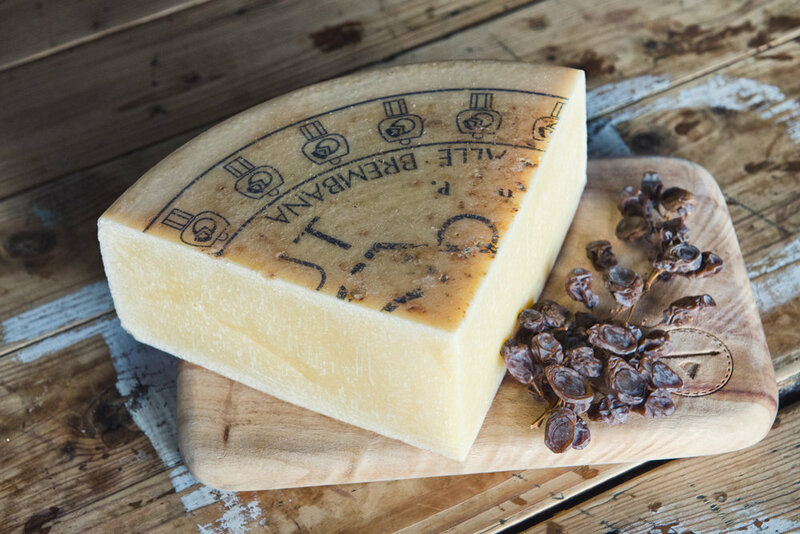 This blue label Formai de Mut originates in Lombardy, Italy and means "cheese from the mountain". It's made using raw cow's milk that is exclusively collected in summer from mountain pastures 1,300-2,500 metres above sea level. Formai de mut is rarely found outside of Lombardy and received it's protected designation of origin in 1996. With the extra maturation of the blue label it develops more intense flavours that's a blend of fruitiness, sweetness and a hint of grassiness.